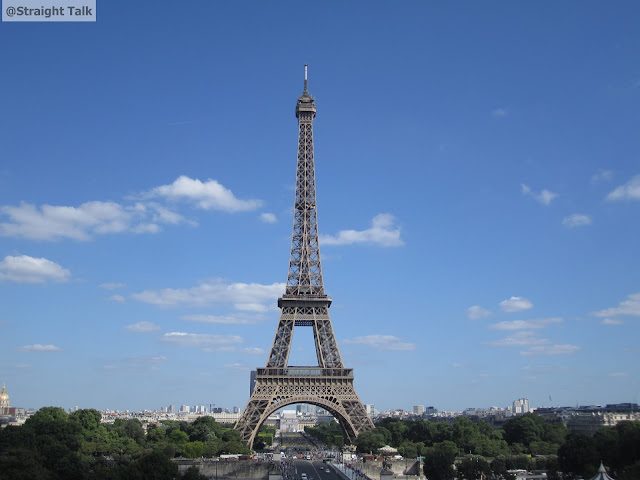 Paris in just one day! Solo for the first time. Paris for the first time. A day in a new country. A day trip in a new country for the first time. Paris the city of love, Paris the city of love and Paris - the city of many of my wishlists was finally going to be ticked off this summer. The plan was to start a euro trip from Paris with one of my friends and then meet another one in Prague. However, the universe had other plans and my Paris itinerary was shortened from 3 days to just 1 day. Essentially it acted like a stopover to Prague as there are no direct flights to Prague from Mumbai and I had to anyways flight via Paris. But I was determined to not let this dampen my spirits and make the most of what i can see and do in Paris in that one day that I had. Also, like i mentioned earlier, this was a trip of many firsts for me so I was really excited to make it a memorable one. And I am glad I did not cut this part of my trip because it was so much fun doing things all by myself, chalking my own itinerary without anyone else's preferences interfering mine and finding my way through the Paris lanes and public transport. Made me feel more independent, confident and was liberating at the same time. Seriously, even if it for a short while just try a solo trip and you'll know what am I talking about. And Europe with it's accessible transport everywhere is a great place to start out! C) Plan this before the trip so that you dont waste time on that day and chalk it out on a map. D) The above will also help you choose your accomodation. Plan your stay closest to the first spot you marked in your route map. F) Pre-research on how to reach the hotel from the airport so that again, you do not waste time on that day. Youve got just some hours right? The airport has direct shuttle buses that take you to various parts of the city. I chose Elysees bassano as it is close to the famous champs de elysees and that is where i wanted to start my day. The bus dropped me at a stop that was 5 minute walk away from the hotel. The hotel was small like most in Paris but had all amenities one would require. And a lift and a great bed! How can a trip to Paris be complete without indulging in some french wine and macaroons. And which better place than the iconic Laduree to indulge in some. A walk at champs elysees has to include a visit to Laduree there. From Champs Elysees take a quick uber ride to be dropped at the Eiffel just facing the Trocadero. Now Eiffel has two sides - one facing Champs de Mar gardens and the other Trocadero gardens an station. I got off at the side facing Trocadero so that I could take the train then to my next stop. 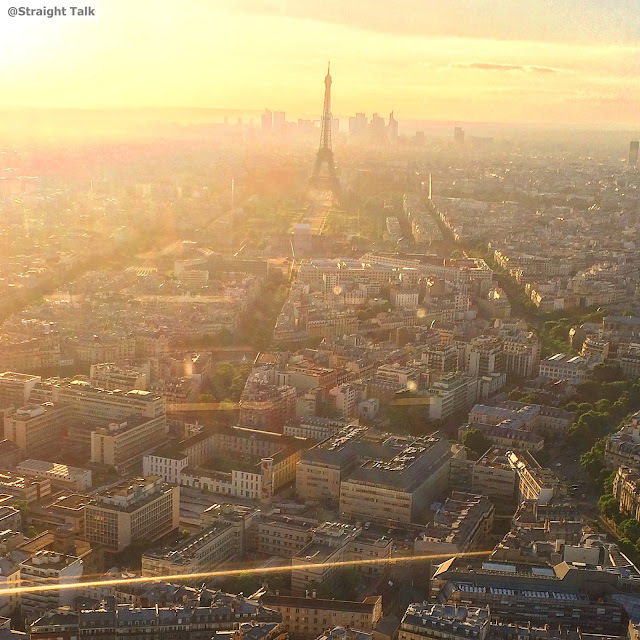 Also, while at the Eiffel you can skip going on top to get the city view. 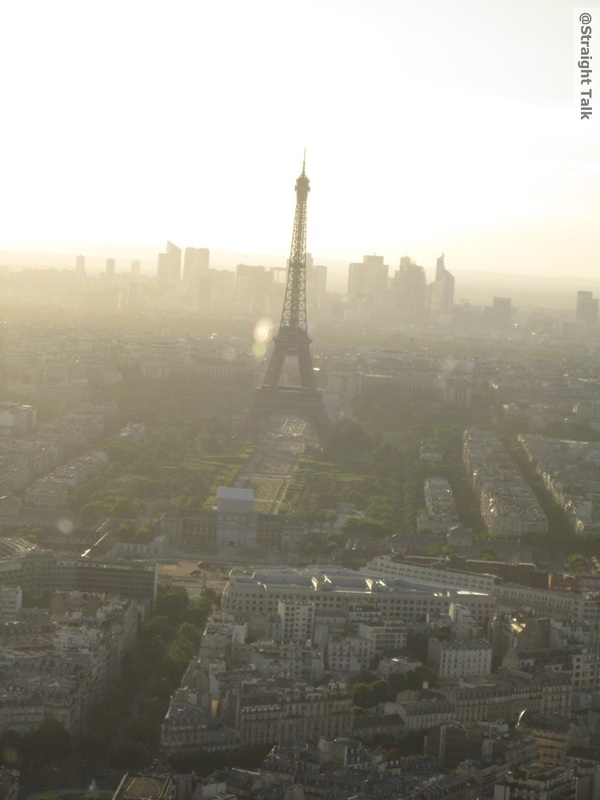 there are lesser commonly known places to get the city view and a city view that has Eiffel in it too. Besides not going up the Eiffel will save you hours of waiting in queue when you are time pressed. While I am making this sound so functional I completely forgot to tell you how the first sighting of this monument gave me the feels! Once i was done drooling i just went click click click. Tip: Cross the road and then click your pics to get the whole of the Eiffel and avoid being photobombed by hordes of tourists. While you are here do not forget to take home some eiffel keychains and magnets as souveneirs from the trinket shops. The walk from the Eiffel to Trocadero also covers the river seine. Trocadero gardens is a great spot to take some pretty pictures of Eiffel and just sit and admire its beauty. The metro station too is just a walk down the stairs. One can choose to come back here in the night to get an evening view of the Eiffel sparkling with lights. From trocadero walk a few steps down to enter the station. I didn't really know the route but there machines that help you plan the route map. The destination stop was Palais Royale Louvre Musuem and checked the fare and bought the ticket. think it was not more than 20 minutes to the destination station and the Museum Palace is just bang opposite the stop once you come out. Now since I was time pressed I didnt enter the musuem just marvelled at the beauty of the Louvre, the palace and the fountains from outside. It was a pretty place. Like I mentioned earlier, Besides trinkets I also wanted to buy something parisian for my loved ones back home. So i had researched on original french perfumeries and came across Fragonard on one of the websites. 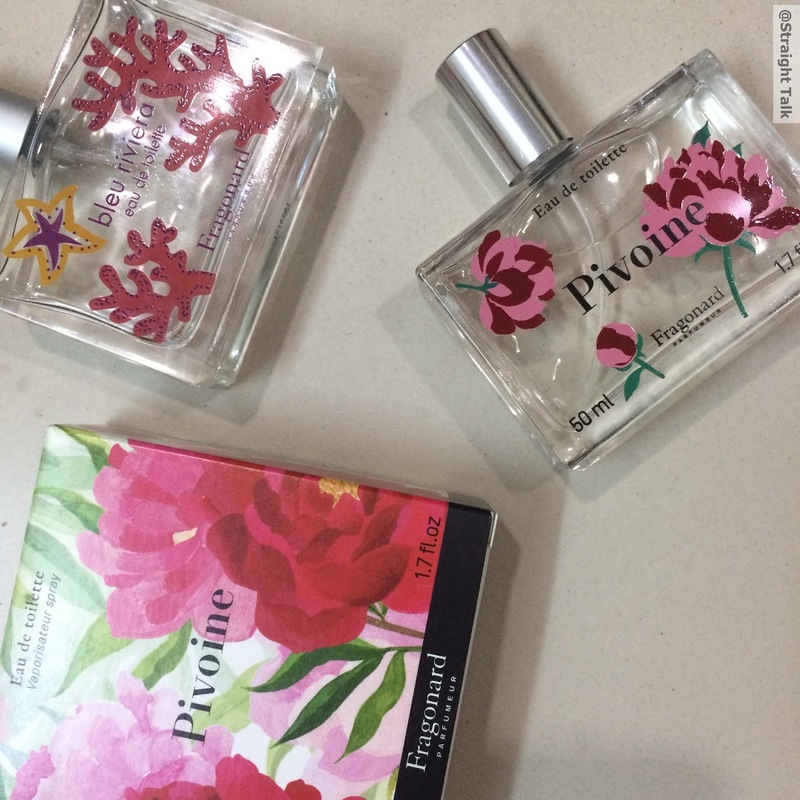 They have a wide variety of perfumes that will not pinch your pocket. I bought lots of them to give as gifts. They came for around EUR 17 each. The shop was in a galleria mall right next to the louvre that houses a lot of other french stores and cafes. Now I didnt want to lose sunlight before my next stop. So i grabbed a quick snack and started out for Montparnasse tower. I chose this place to get the entire city view just before the sun sets. There wasn't much queue hence unlike going on top of the Eiffel this really didnt take any time. Sat here for a good hour just admiring the beauty of the city and Eiffel against the sun setting. After Montparnasse, i wouldve ideally liked to go back and see the eiffel by night with lights twinkling however, I was really dead with the jet lag and all the walking around and I knew I was going to come back to Paris someday with my husband and wanted to reserve that sight for that time. So I decided to call it a day with some good warm dinner and a glass of wine that I grabbed at a place called Sophia's just next to my hotel. Summer having longer hours of daylight really helped me cover whatever I wanted to. And I retired pleased as a punch looking forward to my flight next day for Prague.